Fenty Beauty Pro Filt’r Instant Retouch Setting Powder ($32) is a new loose setting powder available in eight shade selections launched with the brand’s new line of Pro Filt’r Instant Retouch Concealer. Since I was purchasing the new concealer I admit I felt compelled to complete the purchase with the Pro Filt’r Instant Retouch Setting Powder even though I’m a pretty faithful fan to my tried and true Ben Nye Banana Powder. I think I have some sort of weird mentality of, “Oh the concealer would work best if I also get the powder they launched from the same brand!”. I can’t be alone thinking this! Anyone ever feeling that way when shopping makeup or particularly skincare? Got the moisturizer, need the matching serum from the same brand and so on and so fourth. Or maybe I’m alone in my oddball makeup logic. None the less, somehow, someway, Fenty Beauty Pro Filt’r Instant Retouch Setting Powder ended up in my cart in two shades. 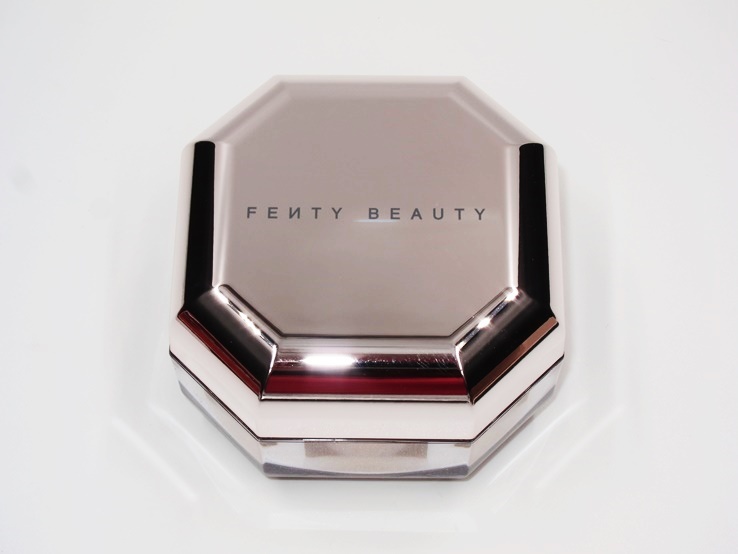 Fenty Beauty Pro Filt’r Instant Retouch Setting Powder arrives in a heavy and luxe feeling hexagon jar with a very generously-sized cap that make it oh so easy to swirl my brush in. Thanks RiRi! There’s nothing more annoying than getting a powder that has a small lid which you can’t use to shake your loose powder into! This lid is massive with plenty of real estate to swirl and tap off your brush. I thought the packaging was very elegant and felt very lux. I’m not a heavy powder user since I have dry skin and I tend to just not set my makeup with powder. One reason would be I find it unnecessary as I don’t have issues with shine or excess oil plus I never feel like my makeup transfers. That’s one perk of having dry skin (there aren’t many)! The second reason I don’t set with powder is it does make me feel a little too made up. I don’t wear a lot of foundation so adding powder on top of things just makes me feel like I’m wearing too much makeup. Moral of the story, I’m not a powder user. All that being said, I do set my concealer with powder. I like that powder allows my eyes to look brighter and also extends the wear of my concealer. That’s why I purchased this powder. I got the Banana shade to use under my eyes but I went one step further and got the Cashew shade to test out on my face. As I knew people would want to know how it performed in both areas. I don’t really like Silica/Dimethicone powders as I don’t like the slippery texture and feel like it settles into my finer eyes. However, a combination of talc, silica, dimethicone is much better. The talc gives the texture of the powder a certain thickness and it feels silkier to me. It might sound horrifying to some but the texture is like a finer, silkier baby powder and I’m quite alright with that. If you look at Fenty Beauty’s formula one of the third ingredients in this powder is Squalane and I think that translates well in this formula. Squalane is a great hydrating source and I feel like that really lends something to the application and look of this powder on my dry skin. 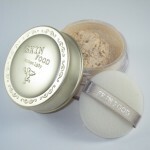 The powder is very luxurious feeling! It blends flawlessly and doesn’t adhere to drier areas. The finish is seamless, never cakey or dry and doesn’t give that too made up look nor a white cast. I did pick the wrong shades though as Banana was a LITTLE too stark for use under my eyes and Cashew a smidge to dark on my face. I might be better off with the shade Butter. But color aside I felt like this performed very well. On my face, it was smooth and didn’t adhere to drier areas and even though Cashew wasn’t quite my shade it did brighten up my complexion nicely. Banana was a little stark under my eyes and pasty but the formula was silky smooth and didn’t crease under my eyes while helping to keep my concealer in place for longer wear. I don’t bake but I imagine if you do it’ll work great as a baking powder. If you’re currently shopping new Fenty Beauty Pro Filt’r Instant Retouch Setting Powder and don’t mind talc I’d highly recommend this formula. It’s soft, silky, and beautifully textured! Fenty Beauty Pro Filt’r Instant Retouch Setting Powder is new, silky lightweight setting powder that launched for Spring 2019. As a dry skin user I thought this formula was quite lovely and didn’t adhere to drier areas on my face and provided a flawless, smooth finish to my makeup! Fenty Beauty Arrived Today and It’s Underwhelming!? Quite pigmented for a sheer face powder. Great packaging with a large lid to easily swirl and tap. Fenty Beauty Pro Filt’r Instant Retouch Setting Powder is a great pick if you’re serious about your face powder! You could always mix the two shades to get a color you want. For under the eyes you could do yellow with a touch of cashew while the rest of the face would be cashew with a hint of the bana to lighten and brighten. Maybe if you mixed the 2 shades together you’d get an all right color for setting your face? someone suggested this 🙂 going to try! Well that’s it then, I’m definitely going to have to try this! Do you find this similar to Laura Mercier’s powder? I’m not a fan of that one for some reason. I think it makes me look made up and isn’t sheer enough. Yes! Textures are similar! This isn’t sheer either in humble opinion but I didn’t feel made up with it thankfully which is indeed how I feel when I use powder! Sounds good. I’ll give it a try. I see they have a lavender shade, which might be perfectly for my complexion, since banana looks kind of yellow. Banana was chalky for me. Not sure why as I use banana without an issue! Could be because it seemed to lack a warmer undertone? Dunno…but that one didn’t quite do me. Let me know how lavender works out! The casing looks so pretty! Been thinking to get a gloss and a few eyeliners and now this when I finish what I have. I also wear minimal foundation and like using the mineral powder from Physicians Formula it adds a nice subtle glow I apply with a kabuki brush from Borghese that isn’t the softest love the brush to blend it apply as little all over. Found at TJ Max is a big fat brush. You are not silly at all for wanting to try the powder, too. 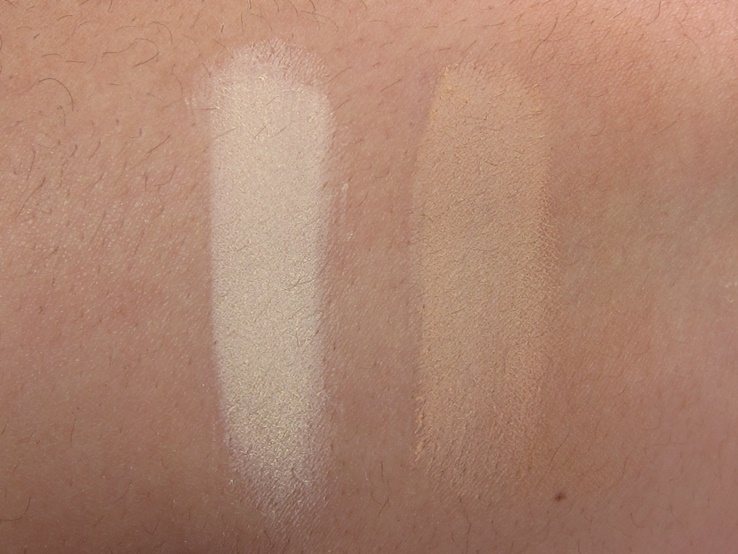 I believe little cosmetics hype, but do think that products from a given line’s collections were formulated to work synergistically, and that Fenty’s powder ought o work better with the Fenty concealer than LM or KVD or It, for example. ITA!!!!! ;D I’m glad I’m not crazy! Sounds intriguing. I might have to give this a try. Are you going to do a review on the concealer? I wonder which country it is manufactured?